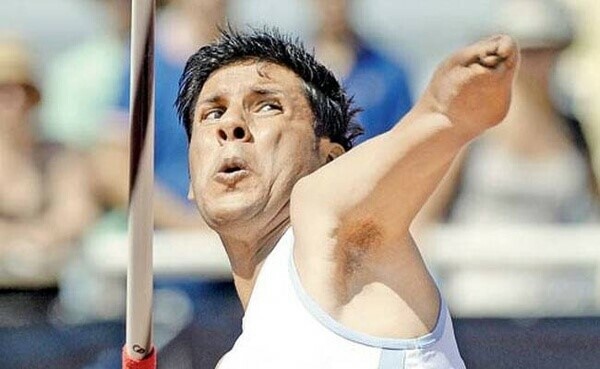 Devendra Jhajharia is an Indian Paralympic javelin thrower competing in F46 events. He has again made our country proud when he became the only Para athlete from India to win a record second gold medal in the Paralympics. 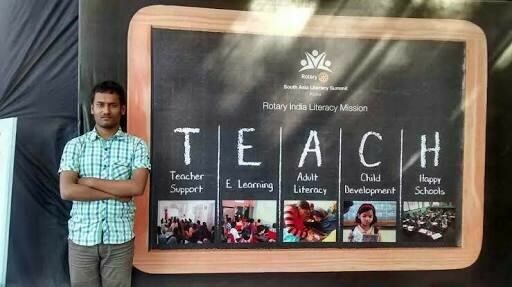 Devendra who lost his left arm due to an unfortunate incident at the age of 8, has also set a new world record with a throw of 63.7 meters at the 2016 Summer Paralympics in Rio de Janeiro by breaking his own previous record. Devendra Jhajharia was born on 10 June 1981 and hails from Churu District in Rajasthan, India. He went through an unfortunate incident at a very early age of eight. He accidentally came in contact with an electric cable of 11,000 volts when trying to climb up the tree to break a branch. There was a lot of smoke coming out there so many villagers reached that sight. They declared him dead but slowly he regained a little consciousness. His left arm was completely burnt and when he received medical attention then doctors have no option than amputating his left hand to keep him alive. Doctors even told that he would not be able to regain his strength throughout his life. Devendra despite losing his left arm became very active in sports. He was competing at his school sports day in 1997 when Dronacharya Awardee coach R. D. Singh spotted his talent and dedication. He has been coached by Singh from that point of time. Devendra himself credited his success to his coach. Devendra became a district champion by outshining regular athletes at the age of 14. His international career started by winning the gold medal in the 8th FESPIC Games in South Korea in 2002. After this win, his tremendous efforts have earned him a lot of recognition. Some notable ones that followed above are mentioned here. Devendra qualified for his first Summer Paralympic Games at Athens and he went on setting a new world record with a distance of 62.15 surpassing the previous one of 59.77m. His performance helped him grabbing the gold medal to become the second gold medalist at the Paralympics for India after Murlikant Petkar. Another terrific success came when he won the gold medal at the IPC World Championship in Lyon, France in the F46 javelin throw. He went on grabbing the silver medal at the 2014 Asian Para Games at Incheon in South Korea. He claimed another silver medal at the 2015 IC Athletics World Championships in Doha. 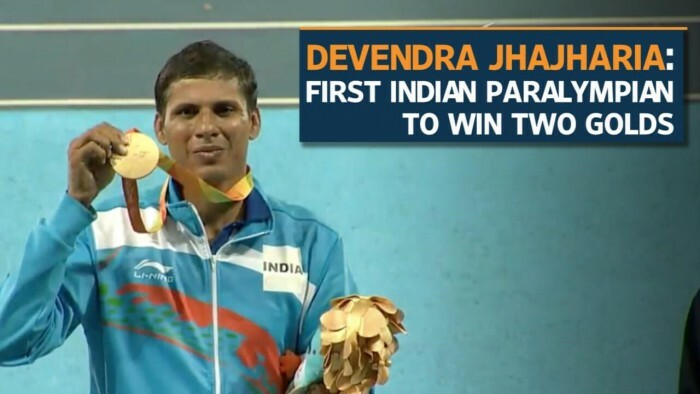 Devendra was at his best in 2016 as he won a gold medal at the 2016 IPC Athletics Asia-Oceania Championship in Dubai which was followed by the proud moment of winning the second gold medal at Paralympic games in the men's javelin throw F46 event at the 2016 Summer Paralympics in Rio. Devendra, a former Indian Railways employee, is currently employed by the Sports Authority of India. He has been married to Manju, a former Nationally-ranked Kabaddi player. 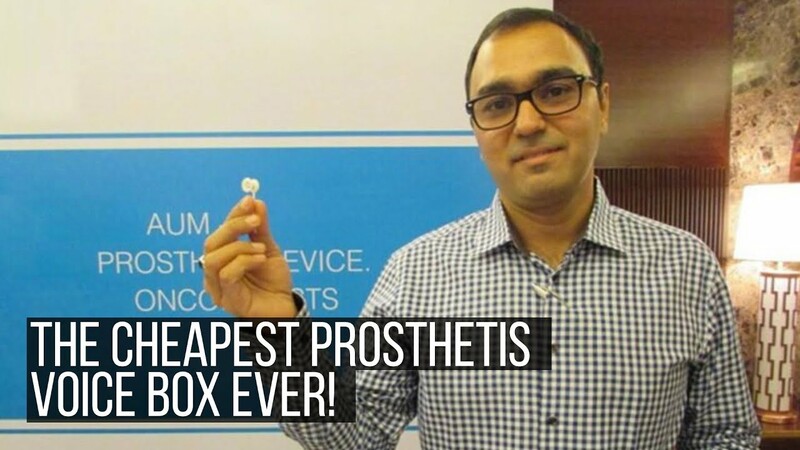 Devendra is a fine example of how one should not let their physical disability define them. 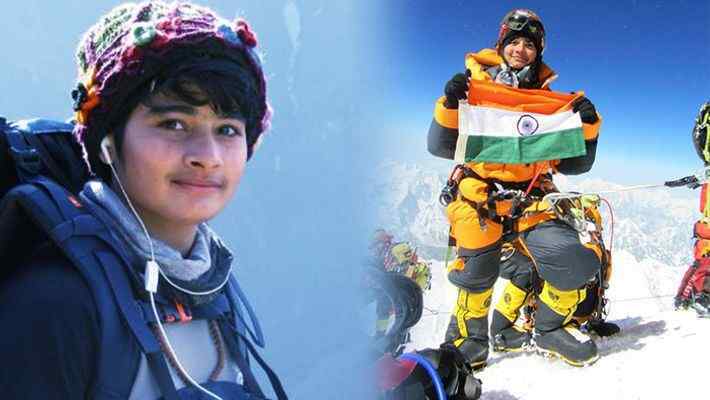 Devendra is among those who are proving to the world that hard work, determination, and persistence is what takes to achieve your goals. We believe this story will be appreciated by all and will help others to come out of any disability that hinders their path to success. 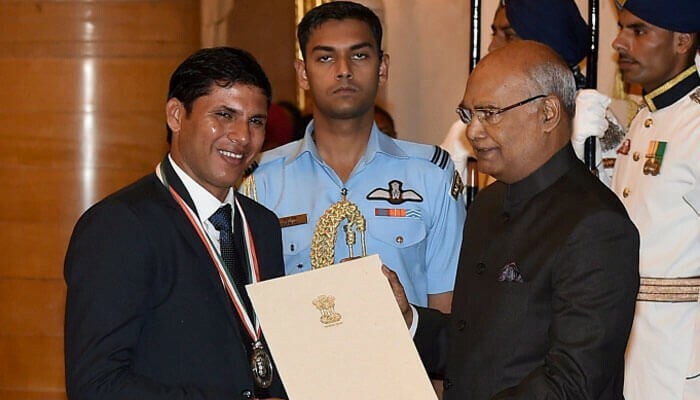 In 2017 , he was honored with country’s highest sporting Khel Ratna Award. He received the award of FICCI Para-Sportsperson of the year in 2014. He has the great privilege to be the first Paralympian to receive the Padma Shri in 2012. He has also got the Arjuna Award in 2004. He is the first para-athlete to receive India's highest Sporting honor- Rajiv Gandhi Khel Ratna. owing to his financial conditions. He is currently being funded by Go Sports Foundation through the Para Champions programme.